With the Prudential Marina Bay Carnival back in action, there's no better place for family time. Run along with your kids, unwind, and don't think twice about having some crazy fun. While you're there, here are the top 4 things – from rides to contests – that you and your family members should try out. 1. Breathe in the nostalgia! The Pony Express is sure to offer you a nostalgic experience, given the history and the popularity around the ride. A common entertainment factor at most theme parks, the Pony Express has 6 horse-themed ride vehicles going around in circles. Hop onto one of the vehicles with your kids and see them thoroughly enjoy themselves on the galloping horse. Given its slow speed, this is a ride suitable for all ages. 2. Bring out the Jaws! Looking to go for something that's more thrilling? Don't worry! You can still involve your kids. Try out the Shark Coaster ride. It consists of a multi-carriage train which is pulled up, and upon reaching the top of the hill, frees wheels along the track and back into the station. This ride gives you enough high moments while coming down from the top. That said, the speed is regulated so that kids can also enjoy the ride whole heartedly! 3. The Circus is coming! When we say there's no shortage of craziness at the carnival, we mean it. This year, you get to witness one of the most popular and rambunctious circus groups – Circus In Motion – live. They're sure to leave you and your family awestruck with some jaw-dropping choreography and a few surprises. 4. Dress Up and get Credits! Come in a fancy costume – dressed as any superhero, comic character, or even the Disney Princess – to win 10 bonus credits and priority access on the spot. This is limited to the first 100 visitors! Also, participate in the bingo challenge - complete 3 lines (6-7 rides/games) and stand a chance to win 500 bonus credits! 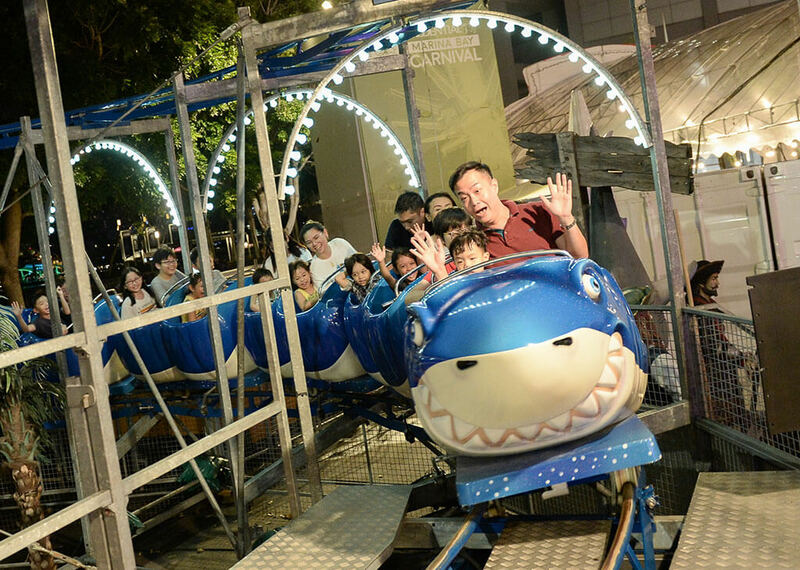 The Prudential Carnival makes for a memorable family outing with all the exciting things to do! Plan your fun-filled carnival excursion based on all the other rides and games we have in-store for you.